After his lead role in the blockbuster movie, Prince Caspian, the second installment of C. S. Lewis book, The Chronicles of Narnia, he put himself a chance to take a role in Noel Coward’s play called Easy Virtue, opposing Jessica Biel, Collin Firth and Kristin Scott – Thomas. “I studied literature in school and I’d read a fair amount of Coward, but I had never heard of this play. Probably because it was so bad”, said doe-eyed Ben. “I was really skeptical about taking the part until I realized that they had changed basically everything”. Ben was a little resistant in playing the character. “Originally because I thought he was weak and I thought he was a bit mama’s boy. I thought he was a bit unsympathetic and I thought he won’t care about the relationship”. He gets frustrated with John Whittaker, “ I want to shake him and slap him and teach him some street smarts”. But actually he thinks that’s the acting challenge. Colin Firth, who played Jim Whittaker, John’s sad-eyed father, thought Ben was a very nice guy when he met him for the first time. “You think pretty boys like that cannot possibly have any substance”. When Ben started acting, Collin thought it was a fluke. It sounded real. He had this resonant, confident, easy-type delivery. “Oh, he’s probably having a little moment.” And he did it again. “It was him acting. He took what could have been the most chinless role in the world, unsympathetic and dull, because there are so many wicked characters in this story, and he really isn’t one of them. Ben is a very funny guy, and it was painful for him to play a rather stuck-up, troubled kid, but I think he gave it flair that very few people could’ve done. He had a confidence and grace, which doesn’t come that easily”. His decision to take the role in Easy Virtue not only gave him an acting challenge. In the original script, his character, John Whittaker didn’t sing much but once Stephen Elliot, the director learned of his lead’s vocal proficiency, it became a prominent part of proceedings. Elliot remembers how he decided that Barnes should sing in the movie, “After a few glasses of Ealing [Studios’] cheekiest chardonnay, Ben Barnes began to serenade a lovely waitress and accidentally let out his dirty little secret. He’s got one hell of a set of lungs on him”. His excellent singing voice has also been confirmed by Carla Hay, in her report for Examiner. “If you’re really lucky, Barnes will start singing while he’s having a conversation with you — like he did several times when I was talking with him in this one-on-one interview. (Trust me: I didn’t ask him to sing; he just spontaneously broke into song.) And if you hear him sing, there’s no need to cover your ears, since he really does have great vocal chops that match his versatile acting. Ben Barnes sings a few jazzy tunes on the “Easy Virtue” soundtrack, but in real life, his vocal style is more akin to the soulful pop of Stevie Wonder and Donny Hathaway, two of his musical heroes”. As for myself, his baritone voice singing for the soundtracks, delighting my heart and made me dance every time I hear it. 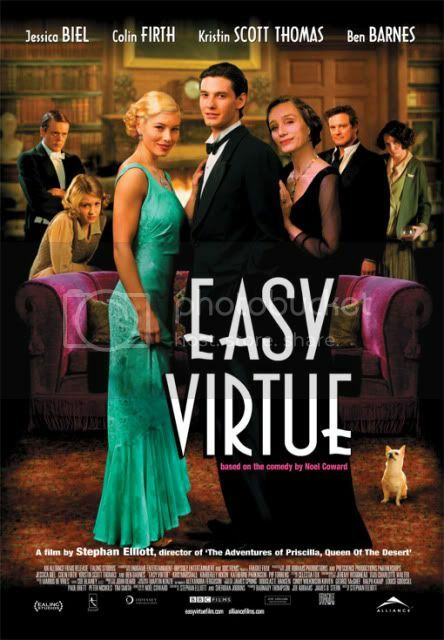 Easy Virtue was not a cheesy piece of drama movie, the movie got positive reviews including from the Noel Coward’s society and won Audience Prize at 2009 Tribeca Film Festival. The road to a great acting career is often paved with the classics — and that’s a path that’s working so far for Ben Barnes, It doesn’t mean he won’t do films that aren’t based on previously written literary works, but his choice indicates that quality stories are a top priority for him as an actor, rather than taking the easier route of doing hack work that cashes in “flavor of the month” trends. I write so I can share what I see through my heart, my personal point of view and my own analysis. The picture belongs to tribute.ca No infringement intended. This entry was posted in Ben Barnes, British Actors, The prince and tagged Ben Barnes, imaginary, Multi-talented by toebildonk. Bookmark the permalink.